The Metalevel — ¡Hola Sevilla! Model Driven Development is one of my favourite research topics. That’s why when the Icinetic guys contacted and offer me to join them to work together I had few arguments to resist the temptation and enroll. 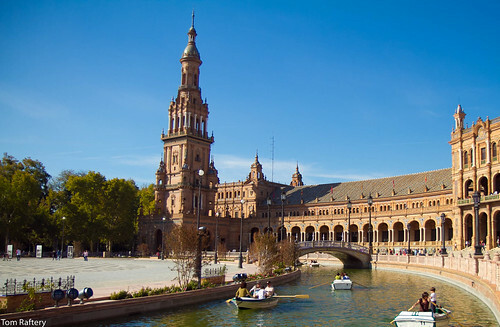 Therefore, today I’m moving to Sevilla, in the south of Spain, to start a new phase of my life to work as the Chief Research Officer. Icinetic is an young MDD tool-maker and consultancy company. I am quite excited to have the chance, the tools and the right team (both with the required business vision and the technical background) to focus on innovation and to create cool MDD & code generation tools. We are going to enjoy it, for sure! Categories: Code Generation, DSL, MDD. Tags: Code Generation, Icinetic, MDD, Sevilla. Great news! I wish you all the best with this new challenge! Posted by Johan den Haan on January 19th, 2012. Posted by Pedro J. Molina on January 19th, 2012. All the best in your new MDD adventures. Posted by Jean Bezivin on January 24th, 2012. I need to meet you one day in person. I feel we will have a lot of topics to discuss about. Posted by Pedro J. Molina on January 24th, 2012. Posted by Code Generation: Links And Resources (2) | Angel "Java" Lopez on Blog on October 24th, 2013.